Thirty years ago, Bob and Del Flemming stood at the edge of a bare paddock, and dared to dream about building their own wildlife park. 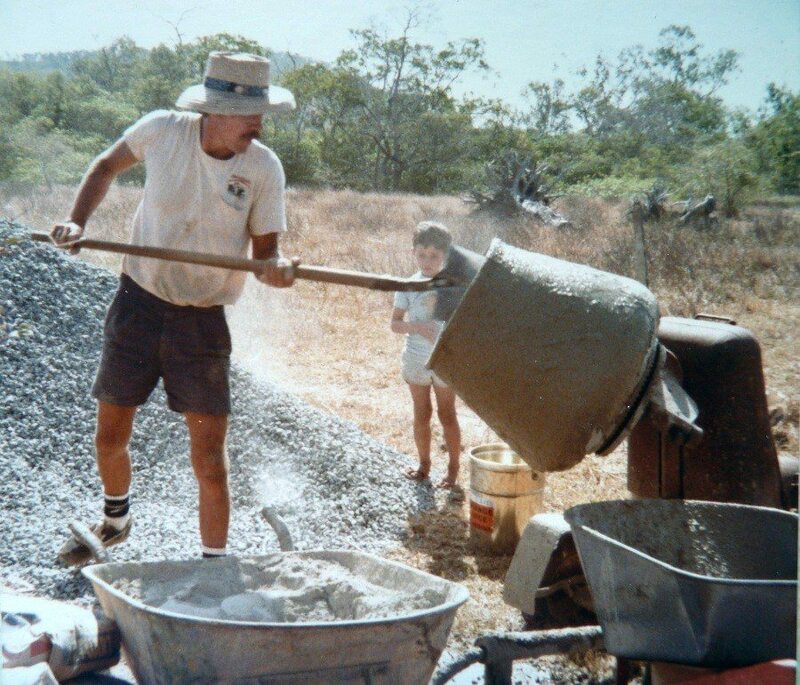 After teaching primary school in Sydney for 15 years, Bob was ready for a change. He and Del sold up and moved north with the goal of establishing a sanctuary for native animals in their natural habitats. In such an environment, Bob recognized that he could have a much wider impact on conservation education, reaching out to thousands of students every year instead of just a few dozen. With their 5 year-old son Brett in tow, Bob and Del pitched a tent at the edge of White’s Creek and set about building their dream. Over the next two years the family worked 18-hours days. 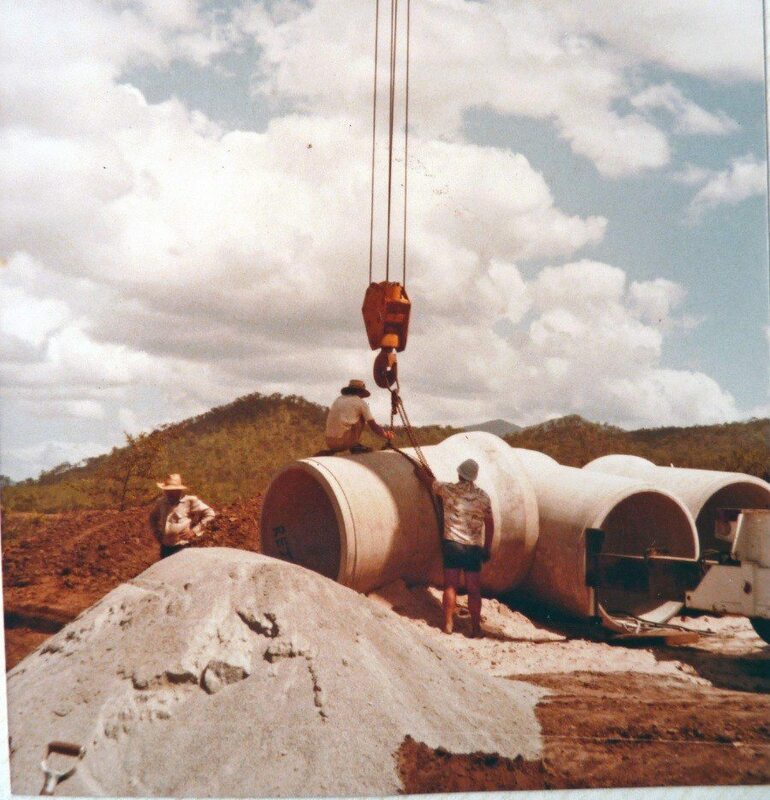 They excavated a large permanent lagoon, planted thousands of native trees, laid 3 kilometers of irrigation pipe, built enclosures, and designed the Queenslander-style building to house the reception area and shop. Locals came forward with offers of native animals. First to arrive were Todd and Judy, a pair of dingoes. The collection soon included an olive python, kangaroos, wallabies, echidnas, crocodiles and an emu with attitude, named Gonzo. 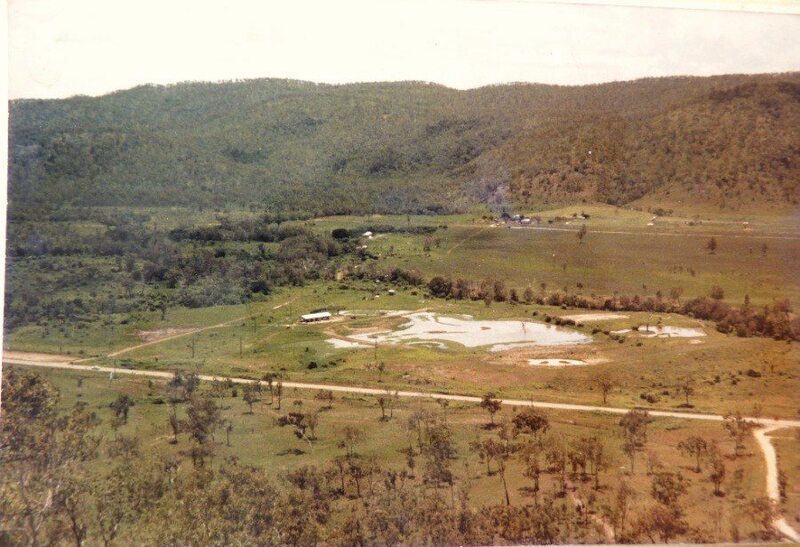 In March 1985 the dream became reality when Billabong Sanctuary opened to the public. From the beginning, the emphasis was on fostering awareness of conservation of native animals and their habitats. School groups started flocking in, and local families came to pitch their own tents by the creek. Jacko the cheeky sulphur crested cockatoo greets visitors from her perch by the koalas. Our red-tailed black cockatoos continue to breed successfully. One of their many chicks is Ash, currently everyone’s favourite. Over the years many of their offspring have been traded to other wildlife parks. Over the years more and more creatures were added. The park is home to successful breeding colonies of koalas, crocodiles, eclectus parrots, squirrel gliders, kangaroos, red-tailed black cockatoos and heaps of lizards and snakes. 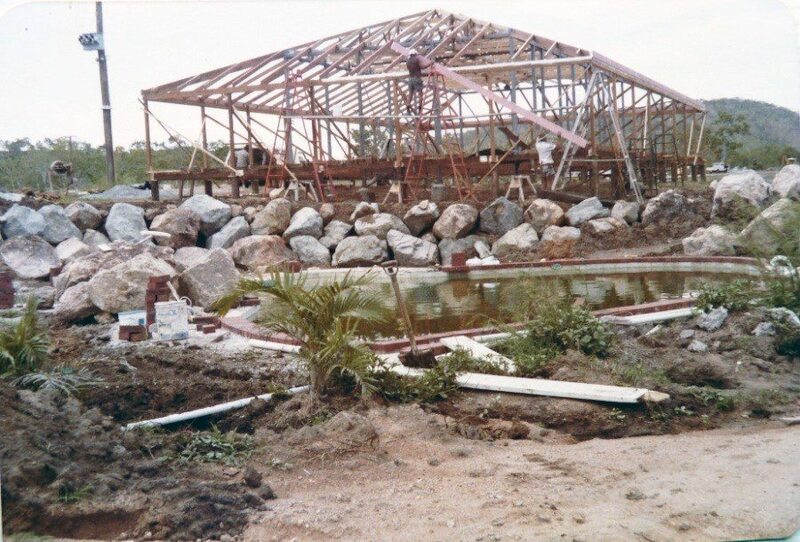 The reception building takes shape; swimming pool is complete! In early February of 2011, Cyclone Yasi ripped the guts out of Billabong Sanctuary. We had to close our gates for 10 weeks as we dealt with smashed enclosures, fallen trees, and massive amounts of debris, branches and tangled fences. Volunteers came from miles away with gum boots and chain saws to slog through the mud in sweltering heat, help clear fallen trees, haul brush, and dismantle smashed enclosures. Donations of quad bikes, trailers, trucks, chain saws, tree loppers and even bananas came pouring in. We are so grateful for all the support that helped us through those dark weeks. 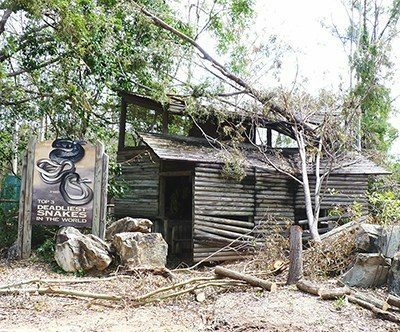 On the positive side, the need to rebuild created the opportunity to give the park a facelift, with new enclosures, landscaping, and the chance to add more native animals to our collection. Other wildlife parks were generous in their offers of new animals to replace any that might have been lost. None of our precious animals died in the storm. Smaller animals like koalas were safely housed in pet packs; the crocs merely waited out the cyclone at the bottom of their ponds. The kangaroos retreated to the safety of White’s Creek. A few birds and lizards went walkabout, but most have since wandered back in search of food. 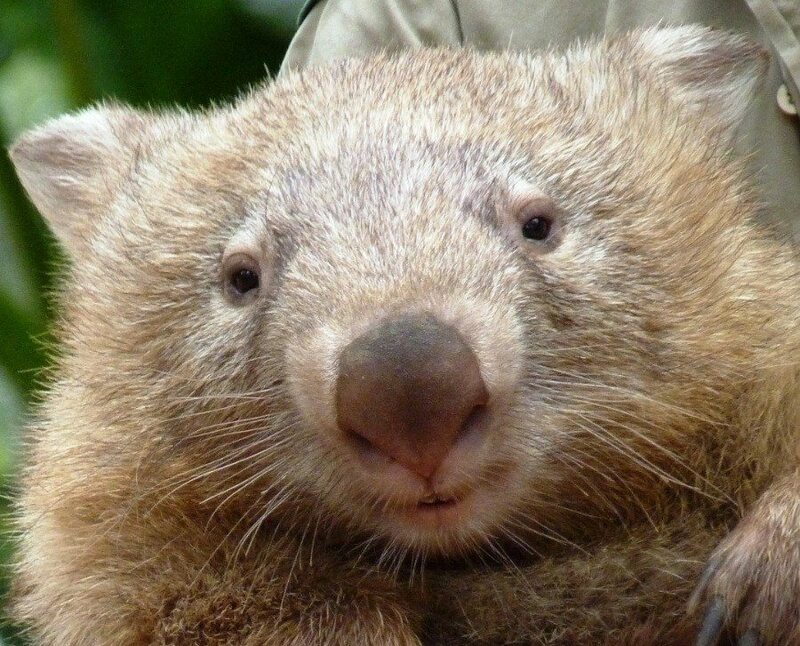 Tonka the bare-nosed wombat was almost a casualty. For weeks after the storm he was moping around in his enclosure and losing weight. The vet did every test in the book but could find no physiological cause. Rangers were too busy to spend much time with him. Then the park re-opened. The wombat shows restarted, and right away Tonka perked up and started putting on weight. He had simply missed the daily contact with humans that had been part of his routine. All your favourite animals are still here– over 50 native species including crocs, kangaroos, koalas, wombats, dingoes, parrots, emus and of course those whistling ducks with their insatiable appetite for seeds. Parents who visited all those years ago now bring their children to the park to feed the kangaroos. We’ve added a bird show and built a snake pit, where Rangers can safely showcase the most venomous snakes on the planet. 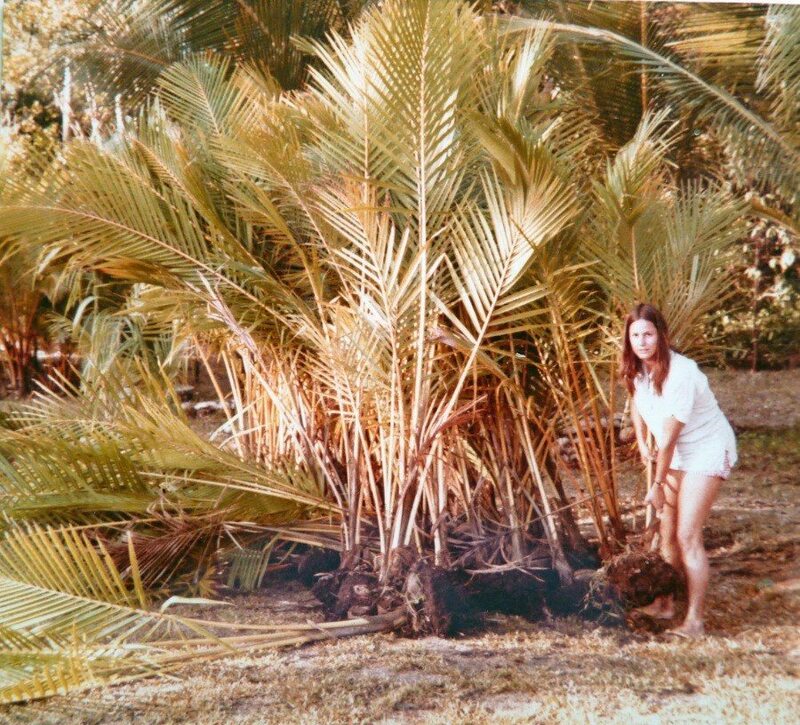 Today Billabong Sanctuary remains a family-owned and operated business, committed to making sure each and every visitor receives personal attention. Our dedication to conservation, education and entertainment remains as strong as ever.